Lebanese army soldiers position the Lebanese flag on top of a hill in the town of Ras Baalbek that the army recaptured from ISIS , Lebanon August 21, 2017. The U.S. military is committed to supporting and providing assistance to the Lebanese armed forces, the Pentagon said on Friday, despite the Iran-backed Hezbollah group and its allies making significant gains in parliamentary election. Shi’ite Muslim movement Hezbollah, together with parties and politicians aligned to it, won more than half the 128 seats in Lebanon’s parliament on Sunday. The United States, which has given Lebanon’s army substantial support, classifies the heavily armed Hezbollah as a terrorist group and condemns its role in the Syrian conflict. The strong showing by parties and politicians who support Hezbollah’s possession of weapons risk complicating Western policy in Lebanon, which is banking on foreign aid and loans to revive its stagnant economy and receives U.S. military support. Late last year, U.S. ally Israel said Hezbollah had gained control over Lebanon’s conventional military, a charge the Lebanese army denies. 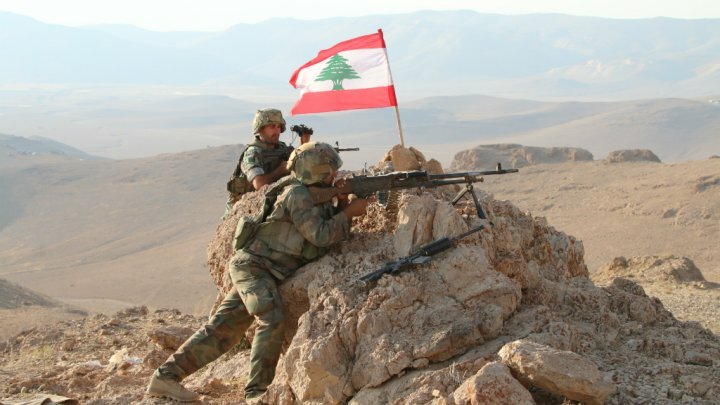 “The United States remains committed to supporting Lebanon’s sovereignty, stability, security, and its state institutions, to include the Lebanese Armed Forces (LAF) as the professional, multi-confessional and sole legitimate armed forces of the Lebanese state,” Lieutenant Commander Rebecca Rebarich, a Pentagon spokeswoman, told Reuters in a statement. “Strengthening the U.S.-Lebanon defense relationship is all the more important in light of the continuing threats emanating from Syria, including continued ISIS challenges and Iranian aggression,” Rebarich said. The United States has provided Lebanon more than $1.5 billion in military assistance since 2006. A grouping of major powers urged Lebanon on Thursday to uphold a policy of keeping out of regional wars. Hezbollah is heavily involved in the war across the border in Syria, sending thousands of fighters to help President Bashar al-Assad’s military. Israel said it struck nearly all of Iran’s military infrastructure in Syria on Thursday after Iranian forces fired rockets at Israeli-held territory for the first time. While Hezbollah and Israel are against arming the LAF I wonder why? I can understand Israel but why Hezbollah do not want to see a strong army..
Hezbollah works entirely for Israel, is the pretext to enter and take Our Land in Lebanon, remember 2006, they didn’t fight against Hezbollah, they killed the Christians of Mar Jayoun, and destroyed the infrastructure, they did the same in 1999 when they bombed the electricity and water supply, why? because they want it all, and this comes from two groups the sephardic jews who are the criminal sons of the Ibiru families from persia, and the self proclaimed Zionist of Europe who since 1920 decided to be throughout UK, Austria and USA the masters of Palestine as an entrance to the Middle East and its vast natural resources. We are alone and We better deal with that, the malicious help from the USA to the Lebanese Army resembles the strings they used with the Palestinians, establishing strings to tie up will power of the Lebanese Army and Government. please, YeUx, can you express your point in plain words without mental masturbation? Can you see the difference between reasons and consequences, reality and imagination, true and fake?